A true runner without a history of pain or injuries is one in a million. The constant pounding on the ground through all of the joints in the body is bound to put stress on some area of weakness and eventually cause discomfort. If you have searched for the most common running related injuries or pain, you have probably come across knee or IT band issues. The ankle and foot are almost, if not just as, common as those two. It makes sense why: the feet take on the most pressure during running since they carry our entire body weight throughout the running cycle. Foot structure and deformities are one of the main reasons injuries to this body part occur. Unfortunately once you injure the foot or ankle once, you are prone to getting injured again, especially if you do not take care of the cause. This diagnosis is demonstrated by inflammation in one or both tendons and is usually caused by activities that involve repetitive overuse of the peroneal tendons. Trauma, such as an ankle sprain, can also cause tendonitis since when rolling the ankle the tendons must powerfully try to control from rolling too far. Pain is normally felt behind or underneath the outer ankle bone during activity, and subsides with rest. Treatment involves using anti-inflammatory pain medication, rest, and activity modifications. If the tendonitis is severe, immobilization for four to six weeks in a walking boot may be necessary. Also called ‘subluxation’, this injury consists of the tendons snapping out of place over the outer ankle bone. There is a sheath that holds the tendons in place at all times that may tear with traumatic events and cause this dislocation. Already present deformities such a shallow or nonexistent groove where the tendons lie or a loose sheath to begin with can also be the cause. After the initial trauma, it may be difficulty to diagnose this issue since there is subsequent inflammation throughout the entire joint. The snapping is felt during forceful dorsiflexion and inversion, or flexing the ankle joint upwards as if raising the toes while rotating the foot inwards. Runners will feel the snapping during the push-off phase of running since it is a forceful movement from heel strike or a neutral position to pointing the toes downward. Treatment for initial encounter subluxations can and should be treated conservatively with rest, immobilization in a cast or boot, and anti-inflammatory medications. For injuries involving a tear of the sheath, chronic dislocations due to ankle deformities, or failed conservative treatment, surgery will be the only option to repair the cause. After surgical repair, physical therapy will be necessary to manage pain and inflammation and restore motion and strength. Individuals who experience chronic dislocations of the peroneal tendons should seek treatment as soon as possible as this consistent snapping can lead to tears. This peroneal tendon diagnosis can be a result of an acute traumatic injury such as a severe ankle sprain. Chronic issues such as consistent dislocations or weakness and instability in the ankle joint can also cause tears by means of overuse leading to fraying and splitting of the tendon. Individuals with high arches are more prone to this type of overuse and should consider using arch support orthotics in their shoes especially for running and other high impact sports. Surgery is usually required to repair the torn tendon, followed by immobilization and physical therapy. 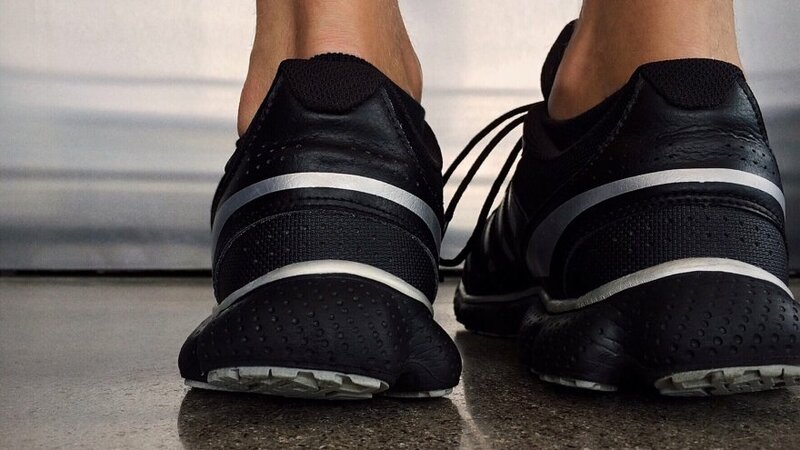 Since instability and weakness are a main cause of most foot and ankle issues in runners, it makes sense to incorporate direct strengthening exercises for these areas. A simple strategy is to perform a few before an easy run about three times per week. Resistance bands can be used to target the main movements of the ankle as shown below. Heel and toe raises will also strengthen the calves and dorsiflexors (muscles along the shins). The smaller muscles of the foot can be strengthened with toe curls using a towel on the floor and trying to pick it up with your toes for up to ten repetitions for two to three sets. More advanced exercises consist of using unstable surfaces such as a balance disc or foam mat to perform exercises. Ankle pain and instability is often diagnosed as a sprain, especially if there was a trauma. It is important to keep in mind that sprains can also involve tendon injuries. If you are diagnosed with a lateral ankle sprain and have done all treatment correctly but continue to have pain, the next step should be to follow-up with your doctor to check for any peroneal tendon injuries. Most cases with minimal symptoms do well with conservative management. Unfortunately if there is a greater loss of function, especially for athletes who want to continue their demanding sport, surgery may be necessary. 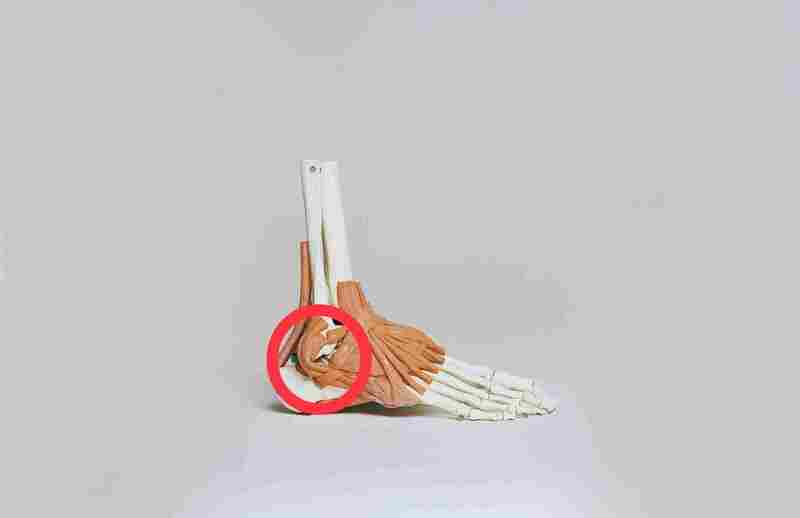 As mentioned above, the foot and ankle joints are significant for runners, therefore any instability or weakness should be taken care of to avoid injury. If not taken are of, foot problems tend to lead to issues in higher joints such as the knee, hip and back. It is useful to remember that healthy feet leads to healthy running!